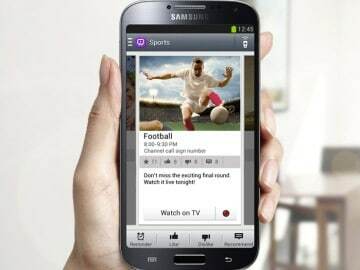 Samsung WatchOn is one of the best application for those who love TV shows. This application allows you to watch movies, TV shows or something else that you can found on a TV channel. You can find the application by accessing Apps and WatchON. First, you will have to tat on Select your Country/Region. Then, you will have to select your Country or Region. Now, you will need to type your ZIP code and then tap Done. Now, you will have to select your TV service provider from the list displayed. You can tap Personalize if you want to add your personal preferences. You can also set an order of genres. Tap Next. Also, you will do the same thing for Sports. Now, you will have to enter your age and gender and tap Done. Tap Sign in to link your Netflix account, or touch Cancel to connect to Netflix later. Now, you will have to type your Login and Password and tap Yes, Link this Account. Also, you can log into your Samsung Account. Tap Agree on the Samsung Disclaimer. Tap Sign in to enter your Account information and sign in. When the process is complete, you will be taken to the Just for you WatchON page. Tap the remote button to begin. Now, you will have to select your TV brand from the list shown and tap I have a projector found at the bottom of the screen. Tap the power button to turn on the TV. If your TV did not power on, touch No, test next code to send additional codes. If your TV did power on, touch Yes, this code works to continue. Now, you will need to select the method used for changing the channels. You will have the following options for your programs: Search, Just for you, Favorites, TV shows, Movies, Sports, Social, Guide, Reminder, Like/Dislike and the most important, Watch now.